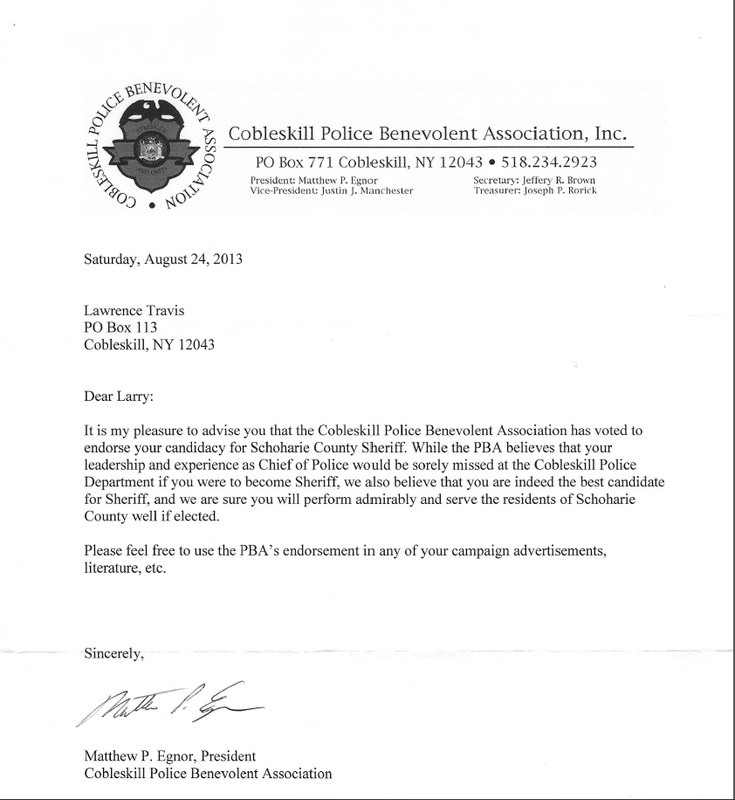 Cobleskill Police Chief Larry Travis picked up a significant endorsement from the local law enforcement community in late August (just releasing the information publicly yesterday) amid a slew of political support for his two opponents in this fall's election. 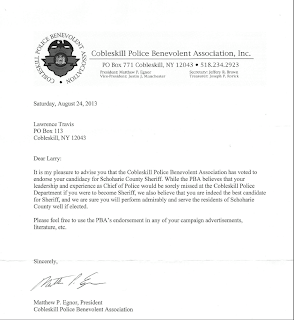 The Cobleskill Police Benevolent Association regretted that if elected Sheriff he would be sorely missed in Cobleskill, but that he would "perform admirably... if elected." Out of the three candidates, Chief Travis has remained more or less under the radar - visiting events and greeting voters without attracting a great deal of attention towards him politically - which fits his status as a career law enforcement officer and political novice.